Protek Wireless Earphones Reviews - Is it a Scam or Legit? Protek Wireless Earphones utilize a special CSR chipset for top-quality sound, built-in moisture control to resist sweating, 5-6 hours of playtime, and more. 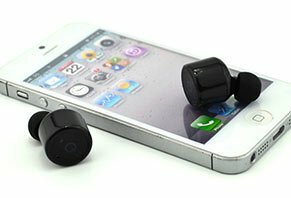 At just 18.5mm in diameter, we’re told that Protek Wireless Earphones are the world’s smallest, completely wireless Bluetooth earbuds. They also feature a lightweight, ultra-comfortable design and built-in moisture control, which the company tells us makes them ideal for action sports enthusiasts. According to Protek, they included a state-of-the-art CSR chipset that delivers superb sound—including deep bass—and 5-6 hours of playtime for one earbud, or 3-4 hours for the pair. And when the time comes, they’ll recharge in just one hour. But will Protek really be the “last pair of earphones you will ever buy”? What can you realistically expect from their audio quality? Will they work for your specific needs? Let’s start answering all your important questions by taking a look at the details of Protek’s earbuds. How Do Protek Wireless Earphones Work? Using Bluetooth V4.2 technology, Protek earphones wirelessly receive audio from any Bluetooth-enabled device, with a transmission range of 20 meters for one earbud and 10 meters for the set (we’ll come back to this point later). Speaking of which, we’re told that Protek’s earbuds can be used separately or in conjunction from the same device. Alternately, you can share an earbud with a friend and they can independently connect it to their own device. While Protek’s earphones don’t feature interchangeable silicone tips for custom fitment like some of the competition, we’re told their innovative design will remain comfortably in your ear. Protek’s wireless earphones shown next to an iPhone for size reference. Image credit Protek. Each of Protek’s earbuds feature a 65mAh battery that delivers four hours of talk time. It’ll also provide 5-6 hours of listening time for one earbud and 3-4 hours for the set. Recharging will take about an hour via a 5V DC adapter. One unique feature about Protek’s earphones is that their “smart battery” technology will automatically power down if they’ve been disconnected for five minutes, with an eight-day standby time. Worried about moisture? According to the company, you’ll be able to sweat without any issues. However, they recommend that you avoid submerging the earphones completely underwater. First, on the Protek website, you probably noticed an image of a guy standing in front of the ocean. This might be a little misleading, since as we just learned, they shouldn’t be submerged. Second, based on another image on their site, it might seem like Protek offers an accompanying iOS/Android app that displays battery capacity. However, we didn’t find any indication of an existing app on Google Play, iTunes, or elsewhere online. Now, how much will you pay for this wireless technology? How Much Do Protek Wireless Earphones Cost? Regardless of which option you choose, all Protek orders come with free shipping. Note: Protek was on their third batch of earbuds at the time of our research, 96% of which was sold and set to ship September 27. If you didn’t place your order prior to this date, no ETA for batch 4 was listed. See Also: Your Guide to Buying an iPhone 7: Lease, Two-Year Payments or Pay Up-Front? There also wasn’t a refund policy listed on the Protek site, so we sent an online contact form message over to customer service, and we’ll update this review as soon as we receive a response. How Does Protek Earbuds Stack Up? Are There Any Customer Reviews? There was a lot of great customer feedback displayed on Protek’s wireless, with common compliments citing ease of use, solid sound quality, and great customer service experiences. Given this (as well as the fact that the company just shipped their third batch to customers), we were surprised to find zero feedback for the wireless earbuds elsewhere online. This includes common sites like CNET, Engadget, and more. Who’s Behind Protek Wireless Earphones? Of these individuals, only Damir had any kind of online presence at the time of our research. Prior to helping form Protek, it appears he worked as a marketing manager in NY and MT. Additionally, despite some intensive searching, we couldn’t find any indication about how Protek first came to market, how they’ve managed to successfully spread the work about their wireless earbuds, or how they’ve managed to sell through three different batches. In other words, it doesn’t appear the company ever raised money through a crowdfunding site like Kickstarter or Indiegogo, and other than some standard Facebook and Instagram posts (as well as a couple YouTube videos), we didn’t find any advertisements or promotional tools used to spread the word. Let’s continue this thought into the next section as we wrap things up. Should Protek Wireless Earphones be on Your List? Compared to essentially every other wireless Bluetooth earbud the HighYa team has reviewed to date, we’re provided with the least amount of information about Protek. Why is their CSR chipset is so unique? Specifically, why does it provide such high-quality audio, and why is it preferable to the competition? Why are they calling it “the world’s smallest,” since it seems to be about the same size as much of the competition? Why aren’t we told how the earbuds are recharged (e.g. a rechargeable case like nearly all competitors)? As consumers ourselves, these are but a handful of questions we think Protek’s manufacturer needs to address to ensure potential customers know 1) exactly what they’re getting and 2) how this compares to the competition. Additionally, keep in mind that Bluetooth 5 was recently announced in June 2016, which is supposed to quadruple range, double speed, deliver 8X the data broadcasting capacity, and add functionality for secondary services like navigation. As such, you can probably expect to see much of Protek’s competition integrate this technology soon. What does all of this mean for you? While the market for completely wireless Bluetooth headphones is new, it’s also expanding rapidly, with major players like Apple and Samsung entering the mix. As such, Protek is up against some very stiff competition. But at $119, Protek’s Wireless Earphones come in as the second least expensive options we’ve reviewed to date, giving them a distinct advantage if price is your number one concern. We’ll just have to wait and see how they stack up in the real world, and if this low price translates into a better value. Did you preorder Protek’s wireless earbuds? If so, did they arrive on time? Once in your hands, did they perform as expected? Tell us your thoughts by writing a review below! I ordered a pair of their latest model. I paid with Canadian dollar, so I ended up spending a lot more than I would have liked on them. I ended up getting them two months later and they were faulty! They couldn't connect to any of the four phones I tried using with them after countless hours trying. I brought it up with them and they made me pay for shipping and tracking to send it back before giving me half a refund for something I received as broken - they didn't even pay for my shipping or tracking let alone the full price that I paid for the headphones! So rich of them to say, "our defect rate is less than 1%." Your customer service is less than 1%...I've been telling my friends and will continue leaving this review elsewhere so others will think twice before getting ripped off. These are hands down the biggest pieces of crap I have ever purchased. They fall out of your ears no matter what size you use, and they rarely connect to WiFi, let alone turn on! You have to hold down the button to turn on and sometimes the volume works to tell you the device is on and sometimes it doesn't. The sound quality is beyond terrible, and their customer service department blows. It took them a month to get back to an email asking for a refund and return instructions only for them to ask if I wanted a video on how to "specially insert the headphones." This is a scam and a joke. Don't waste your money because you won't get it back! I was skeptical to purchase these earphones at first. I saw a few advertisements on Instagram and Facebook claiming to be a truly wireless experience, so I decided to give them a chance and purchased them. When I received the Active series, I began using them and sure enough, in a small amount of time, they surpassed all my expectations. The battery life is amazing, as well as the volume. Unfortunately, after some months of use, I experienced a small technical problem with the product, but Michael down at Protek Solutions received my concern via email with outstanding customer service. I highly recommend this product to anyone seeking a true wireless experience as I do not regret buying them. I placed an order of the Protek Active Sport X1, spent $177 CAD ($120 USD) on them. I ordered them on April 15th and didn't receive them until May 23rd because the company had oversold their product, so basically they charged a bunch of people for the product but didn't have enough to go around so some people had to wait until another batch could be made (me being one). In terms of packaging, definitely a 1 out of 5 stars. The packaging is just poor. I mean come on, for $177 CAD ($120 USD), you can't even put the product's name on the box? The earbuds don't sit safely in the box either. Mine were bouncing around in the box. The sound quality is 3-4 stars out of 5. The Apple headphones have better quality. The sound isn't bad, but I mean for $177 it's not worth it at all. I would honestly pay $25 for these. Build quality is 4 out of 5 stars. 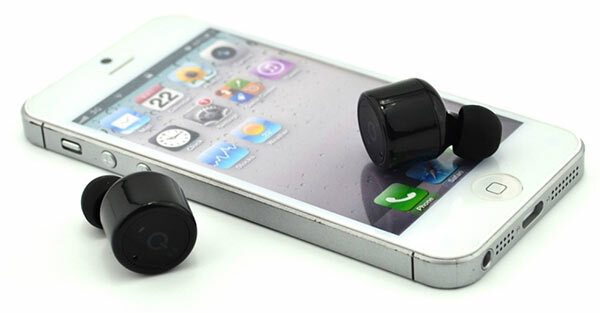 They're really built well and fit nice, but that will depend on each user because everyone has different ear sizes. I give it 4 out of 5 stars out of a comfort scale. The best part about these earbuds is that they're small, whereas most other wireless earbuds are connected by a wire and are obvious. Customer service wasn't good; 2 out of 5 stars for sure. They only get 2 out of 5 and not 1 out of 5 because they said they would refund the order since it took so long to get it, but obviously I would need to send the product back. This is not a product worth $177. This should cost around $20-$30. Not quite sure what exactly costs the $177, but regardless this isn't worth the price. If you can find earbuds elsewhere, then get them there. If you're looking for earbuds that are entirely wireless and you don't care as much about sound, then these are for you. Also, the instruction manual is a joke. It's all in broken English and makes no sense. It's not even funny, it's just completely unprofessional and ridiculous that a company selling $300 headphones (I bought them $177 on sale) can't afford to have a simple little instruction pamphlet in proper English. You can obviously tell that it was made in another country and had the instructions translated (besides the fact that on the side of the box it says the product was made in China). I will definitely be returning this product. Huge waste of time and money. Overall rating: 1 out 5 stars. Logan were you able to return these earphones? Did the company refund your money? Thanks for any information on this. I placed my order for these earbuds in early December, and after weeks of emailing them and trying to get a response on when I could expect them, I finally got a response on the 22nd of December explaining that they would not make it in time for Christmas (obviously). When they finally did arrive, we quickly found that these things are NOT worth the $90 (they were offering $30 off around Christmas time). The sound was alright (yes, just alright), but more so, they are IMPOSSIBLE to keep in your ears while doing anything at all. They continuously pop out of your ears doing the slightest bit of movement. I was literally taking inventory at work with a clipboard and could not get them to stay in whenever I moved my head. I cannot imagine anyone ever trying to work out or do any kind of real movement while trying to use these. Upon deciding that these just aren't for me, I reached out to the company, hoping to get more information on what their return policy is. I received the earbuds around January 8th (give or take a few days), and messaged them just a few days after that, but still have not received a response in the slightest, even after sending multiple emails. All in all, they have horrible customer service, are not worth the price, are not worth the wait, and are just not worth the hassle. Save your money and go to your nearest retailer and get something else. Please believe me, you are not missing out on anything. Write a Review for Protek Wireless Earphones!